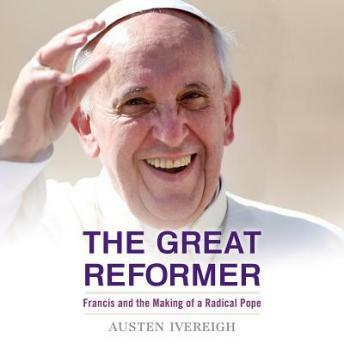 An expansive and deeply contextual work, at its heart The Great Reformer is about the intersection of faith and politics-the tension between the pope's innovative vision for the Church and the obstacles he faces in an institution still strongly defined by its conservative past. Based on extensive interviews in Argentina and years of study of the Catholic Church, Ivereigh tells the story not only of Jorge Mario Bergoglio, the remarkable man whose background and total commitment to the discernment of God's will transformed him into Pope Francis-but the story of why the Catholic Church chose him as their leader. With the Francis Revolution just beginning, this biography will provide never-before-explained context on how one man's ambitious program began-and how it will likely end-through an investigation of Francis's youth growing up in Buenos Aires and the dramatic events during the Perón era that shaped his beliefs; his ongoing conflicts and disillusionment with the ensuing doctrines of an authoritarian and militaristic government in the 1970s; how his Jesuit training in Argentina and Chile gave him a unique understanding and advocacy for a 'Church of the Poor'; and his rise from Cardinal to the papacy.